June 2016 - Destination Japan on the Dreamliner! Discussion in 'In the News' started by xcel, Jun 26, 2016. First flight is almost always the best. 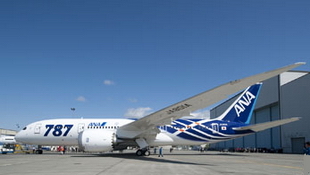 Do you remember our look at the A 20% More Fuel Efficient Dreamliner takes to the Skies back in the summer of 2011? We are going to experience our first flight aboard Boeing’s Super plane this weekend while on the way to spend the some time getting acquainted with a new vehicle that will reach us this fall. I wish I could say more other than it was on a private test track and it will be truly noteworthy. Not by boat, that is fore sure! Meet the #United Airlines #Boeing 787-9 #Dreamliner Business Class from LAX to Tokyo-Narita. 10 hours and 36 minutes of efficient Dreamliner bliss. It was to early and overcast for a good shot at LAX. A panorama of its business class accommodations. Hat of the day goes to #Toyota and their #Prius #Prime #PHEV-22. We were invited to the short lead this fall and it should prove to be a highlight of the 2017 model year introductions. All aboard the high speed Narita Express to Tokyo with colleagues. And T-Mobile at 2G for free. Really enjoying Japan right now. I am not sure what this is but it might be medicinal? One of the 180+ mph Japanese bullet train rides today. According to Wiki, the 700 series is a Japanese Shinkansen high-speed train type built between 1997 and 2006, that entered service in 1999. Originally designated as "N300" during the development phase, they formed the next generation of shinkansen vehicles jointly designed by JR Central and JR West for use on both Tokaido and Sanyo Shinkansen lines. Yaw dampers are fitted between vehicles, and all cars feature semi-active suspension to ensure smooth ride characteristics at high speed. Compared with the small fleet of high-performance, high-cost 500 series trains built for JR West, these trains were designed to give improved ride comfort and interior ambience over the earlier 300 series trains at a lower cost than the 500 series trains. The cost of a 16-car 700 series unit is approximately 4 billion yen compared with around 5 billion yen for a 16-car 500 series train. Operations - 700 series trainsets are scheduled to be withdrawn from Tokaido Shinkansen services by the end of fiscal 2019. Not sure I am smart enough to go to the bathroom here? I thought there would be more Prius Taxi cabs in Japan? This parking lot was full of boxy looking Toyota Crown Comforts. 2.0L I4s with 4-speed ATs and little changed since their intro in 1995. Edit. Is that one of those heated, cooled, auto air freshener, wash and dry toilets?! 35 years of Sausage in Japan. I think? Ah oh, this great OEM host who will not allow me to name them in public has gone over the top with today's hotel. After a smashing great day of driving FCVs, HEV's and a world class PHEV in various modes around their test track, we were taken to this. A traditional Japanese resort with a woody fragerance, kimono attired staff, over the top hospitality, and way beyond service is what I am experiencing. An outdoor steam shower and bath, hard or maybe softwood floors, low entryway into each and every room - 5'-6" door frames at best, very low height dining room table, desk and bed, and a feeling of Japanese tradition I could have only imagined from watching movies. The Four Seasons up near TAOS and in Sedona made impressions. This hotel is going to provide a lifetime of memories and discussion. Just WOW!!! And thank you so much OEM to be named later for the very unexpected and much appreciated experience of a lifetime. A traditional toast of Sake with friends before partaking in a traditional multi-course meal. I had a Coke. Sebastian Blanco, Bengt Halvorson, Craig Cole, Danny Cooper, plus others. Thanks for the plane pics! Last time I flew in one of the big boys was a 747, in '73. Saw "The Sting". I wonder how much less fuel the Boeing uses uses as another comparable jet for the same distance? I did the LA to Narita flight a few years ago and spent a week in Yokohama. Jet lag deluxe! I remember the trains well. I had a Japanese friend shepherd me through but I still managed to screw up getting through the toll gates. I remember swarms of young men in suits and ties and polished shoes running at full speed to get from one train to another before it pulled away. No matter where I walked or turned I was always in their way. Plenty of great food in Japan. The Japanese eat very healthy. I never did adjust to having breakfast the main (big) meal of the day. I usually skip it. It is great to be back on U.S. soil but I will miss Japan. A beautiful country and people. Here is the cockpit of the most efficient commercial jet in the sky. That being the Boeing 787-9 Dreamliner. The United Airlines crew stated the plane consumed ~ 110,000 lbs of fuel for the 5,450 mile flight between Narita-Tokyo (NRT) and Los Angeles Intl. (LAX). With a density of ~ 6.7 lb/gal, this equates to .33 mpg and with a compliment of 250 souls on board - max cap is 254, the MPGe per person comes to 83.0 mpg. Not bad for an average speed of 575 mph. I spoke with one of the pilots on the way through cystoms and he said he loves flying the 787 over every other jet. "A 9 to 10-hour flight feels like a 5 to 6-hour one. It really is the next generation in flight." The humidification system and smooth ride at 39k+ ft. really do make for a great flight. Thanks for the ride United Airlines in your fantastic Boeing 787-9 Dreamliner. It surely was a dream. Just wish I had a Boeing hat to highlight it properly! BillLin, Mendel Leisk, Jay and 2 others like this. I really enjoyed the Boeing 787 Dreamliner flight(s) this weekend as you can tell from the above. A #GameChanger in no uncertain terms and I cannot wait to fly in others just like it. Imagine the fuel savings going forward with this type of technology spread across the entire Boeing Lineup. How did people that short pull such a powerful bow-it must have a draw length roughly like a Brit long bow?? Maybe they get it past their ear-then push forward to get more draw?? Wayne how is the security at those Japanese air ports?? do they have submachine gun toting cops?? Cuz there's more rich dude's who can afford $6million for the Honda than mega-rich dudes who can swing $ 19.3 jillion for the Dreamliner. Either way, rich dudes don't sweat the PMPG.